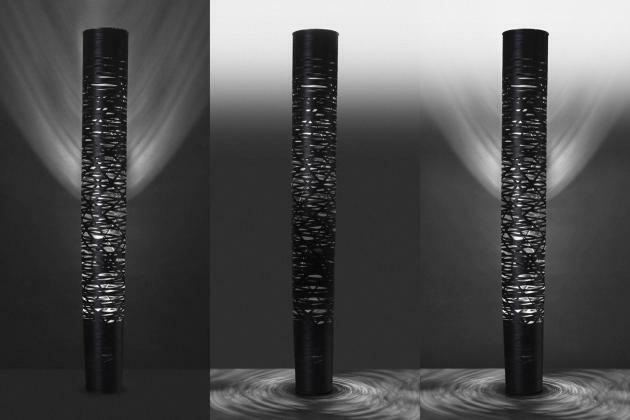 Marc Sadler has designed the Tress Lamp for Italian lighting manufacturer Foscarini. Interwoven threads drowned in resin that recalls the texture of baskets. The effect is an interplay of full and empty spaces, interwoven light and material, distributed differently according to the use of the lamp, which evokes the warm touch of fabric, creating an extremely suggestive visual and tactile effect. Visit the Foscarini website – here. Visit Marc Sadler’s website – here. 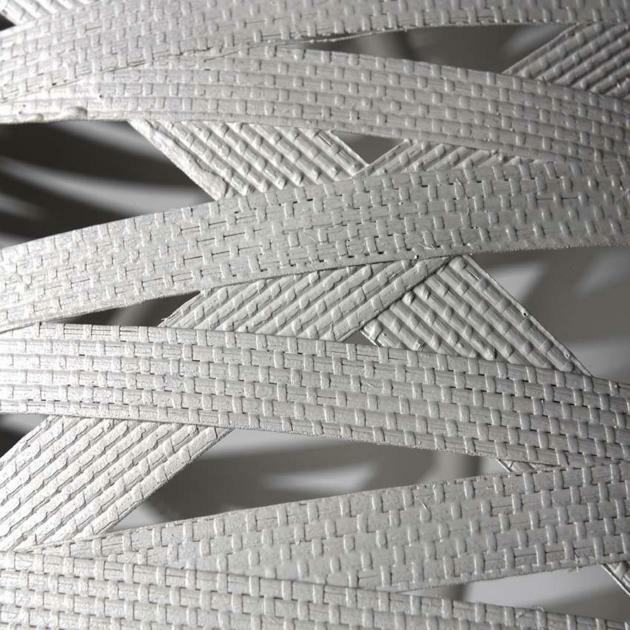 Tress is made with composite materials that are technically similar to those used by Marc Sadler and Foscarini when they developed the Mite and Twiggy collections, but with a completely different application and results, that achieve new expressive possibilities for the material and the development of manufacturing techniques. 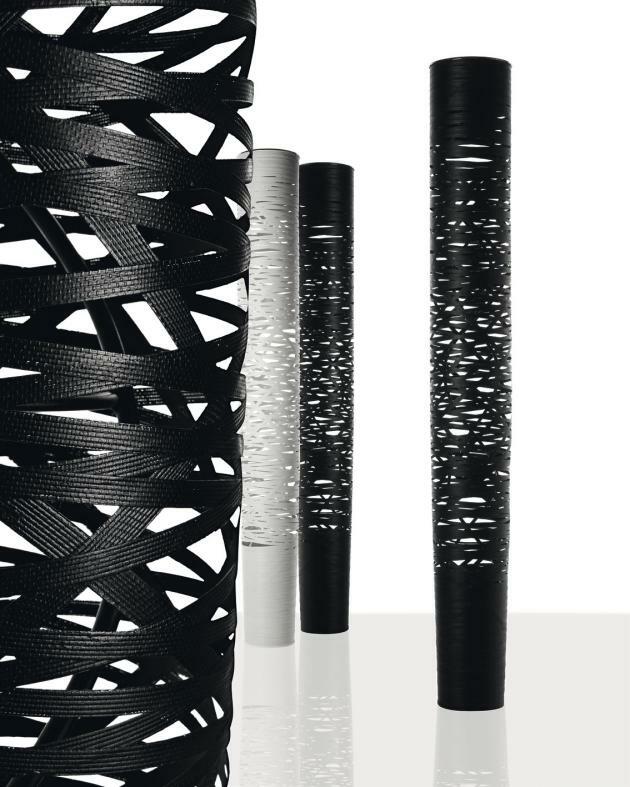 Available in two versions, black or white, the collection reveals a different personality: black forcefully underlines the weave which moulds into three-dimensional decor, while the white version has a lighter, more discrete presence. In the floor lamp version, the spread of the beam of light creates a particularly attractive effect, thanks to the two light sources with separate switches. The lower light completely illuminates the heart of the lamp and underlines the graphic interplay of the weave, creating an enveloping effect, while the upper light produces illumination that is reflected towards the ceiling.